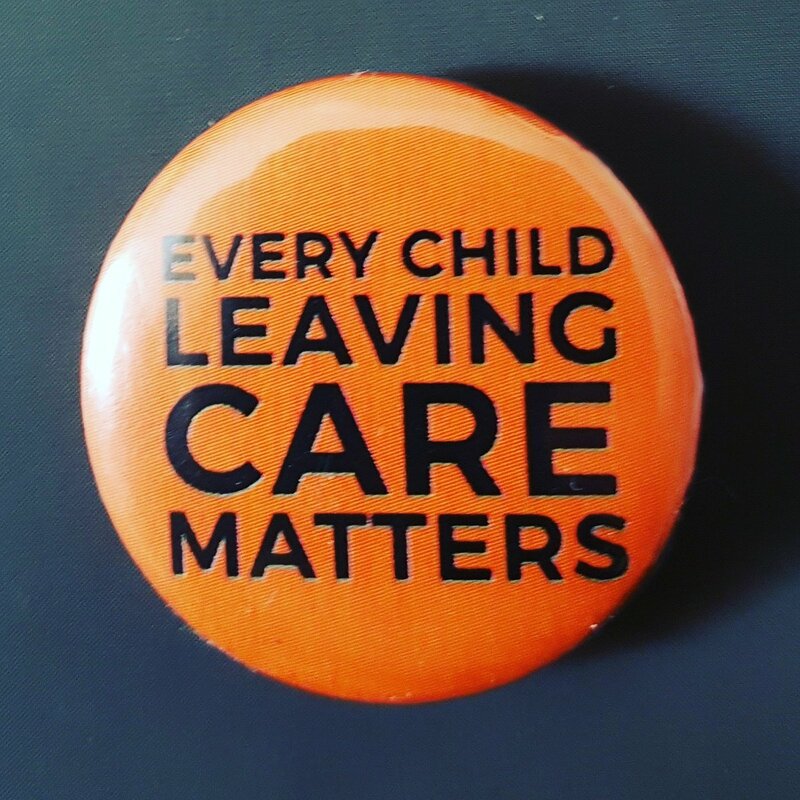 Some of you may remember the Every Child Leaving Care Matters (ECLCM) campaign started by Ben Ashcroft, myself, Ian Dickson, Ed Nixon and Lisa Cherry back in December 2013*. This was when the government announced its two-tier system for children in care. Those in foster care would be allowed to remain with their foster carers until they were 21. But those in children’s homes were not included and would still have to leave between 16-18, even though arguably the residential sector cares for possibly the most vulnerable and disadvantaged young people who may be unable, or indeed choose not to be fostered. Since then we have seen the issues around children in care explode throughout the UK which is fantastic and needed to happen. Ben Ashcroft, has steadfastly kept in his mind the children from a residential home who were with him when the government first made the announcement. ‘What about us,’ they said. ‘What about us?’ From that day Ben determined their voices would be heard. Ben is author of 51 Moves a story that chronicles the harrowing experiences of the social care and welfare system and his journey between 9 and 18 years of age and its impact. By the time he ‘went straight’ at 17 years old, he had been moved 51 times and had 33 convictions. Though as he says: ‘None since’. Four years later and the ECLCM campaign is still going. They have had meetings with Sir Martin Narey as part of the National review of residential children’s homes. They have a formal affiliation with the Care Leavers Association. They submitted a report to and appeared before the Education Select Committee, ‘Into independence, not out of care: 16 plus care options’, in 2013. And despite the committee recommending that the ‘Staying Put Option’ should be available to all children leaving care, the government ignored their Select Committee. Since then ECLCM have submitted to other committees, attended APPG’s on Looked After Children where there was of course overwhelming support for the extension of the right to ‘stay put’ to all looked after children. Though the petition continues to grow, it is no longer the primary focus of the campaign. It is a political matter and to succeed, ECLCM must engage with politicians. There are at least 60 MPs who openly support the campaign notably Bill Esterson, Emma Lewell-Buck, Sarah Champion, Alan Johnson, Craig Whittaker and George Howarth. ECLCM took part in a dialogue/discussion with the DfE about what ‘Staying Close’ might look like. Subsequently, ‘Caring Teams’ has evolved and have enabled ECLCM to have some ongoing influence in the future Staying Close/Put Pilots and their evaluation. It is very clear that this government will not consider Staying Put for all residential care leavers. Through discussions and negotiations the ECLCM involvement has led to tangible improvements in the proposed framework for the eight ‘Staying Close’ pilots. Young people leaving care will be able to ‘stay close’ to the children’s home they are living in at the time they are due to leave care. Where young people are placed away from their ‘home’ area, these ‘out of borough’ ‘Staying Close’ placements must be close to the children’s home they are living in not in their home Local Authority area. The ECLCM team have transitioned from an exclusive demand for ‘residential care to 21’ to a current focus on Staying Close – as described in the blueprint Caring Teams. Staying Close is not a final solution – but a major step forward. As part of these discussions ECLCM are working on a paper for Caring Teams. The cost of caring by those with huge hearts cannot be underestimated. And in my personal experience, care experienced people have some of the hugest hearts I’ve ever seen. After taking time to recover, Ben decided that walking would be really good for his mental health. 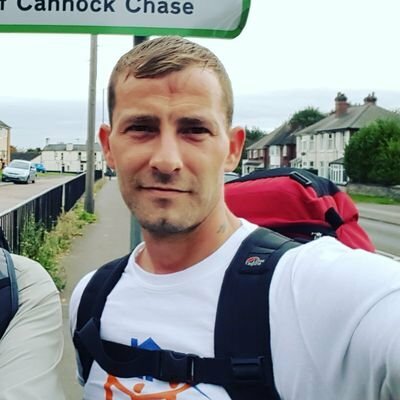 Not one to do things by halves, he is walking over 250 miles from Halifax to Parliament! Ben decided to walk from Halifax to Parliament to spread the word of the ECLCM campaign. Ben left Halifax on Sunday 24 September to walk to London stopping off at Littleborough, Manchester, Haydock, Sefton, Liverpool, Chester, Nantwich, Eccleshall, Cannock, Dordon, Lutterworth, Northampton, Milton Keynes, Dunstable, St Albans before arriving in Parliament this Wednesday 11 October. If you want to join Ben for the last couple of legs of the walk, contact him via Twitter. When Ben arrives in Parliament he will be addressing MP’s and supporters of ECLCM at Portcullis House. *Myself, Lisa Cherry and Ian Dickson have since left ECLCM but continue to support the campaign and original principals of all children in care being treated equally.